This article is our big wrap-up piece for 2010, and it was a long-time in the making. We hope you enjoy it. 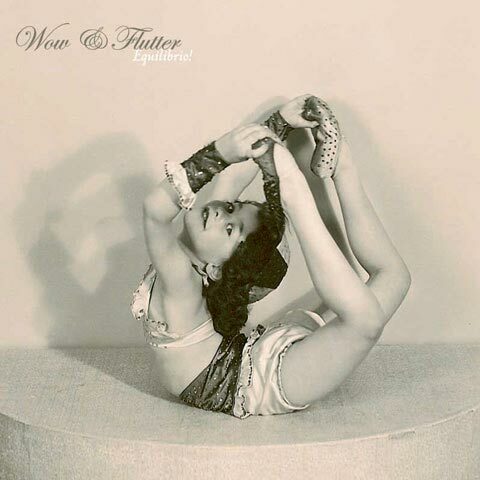 Maybe it was chance or divine destiny, but when Amato stumbled upon this picture, the gods smiled and granted him with the knowledge that this photo was perfectly made for Equilibrio!, and for this incarnation of Wow & Flutter. After years of making music, the band has finally found a sound that’s not too crass and not too indie; Equilibrio! comes off as the most rounded out and balanced version of the band’s music so far. Magnifico! Remember making mixtapes back in the ’90s? It was hard work, trying to sequence each song correctly to make the perfect mix. Nostalgia for mixtapes hits you like a hurricane when you see the cover for Shellshag’s second full-length album, Rumors In Disguise. Displaying two rows of tapes and recordings from all their years together, the cover serves as a visual timeline of the band. If you look carefully, you’ll find inside jokes, alternate titles, and future projects — all awaiting your curious eye. The band’s previous album, Destroy Me I’m Yours, boasted similarly telling album artwork. “The picture reveals the environment that the band operates in and shows years of flyer [and] all the music gear acquired/used throughout the years…” says Shellshag. For the band’s latest album, they wanted to take the same approach. The selected tapes were arranged, and the scan was used directly for the album cover. “It is our personal history, which, after 15 years, deeply defines the band,” the band members explain. As a band known to embrace garage bands and the DIY scene, Shellshag leaves itself bare and open with its music, extending an invite to all who are willing to find it. It’s no surprise, then, to see a cover that graciously and humbly does the same to the peripheral. The brothers behind the artwork for Florene are art lovers, first and foremost. 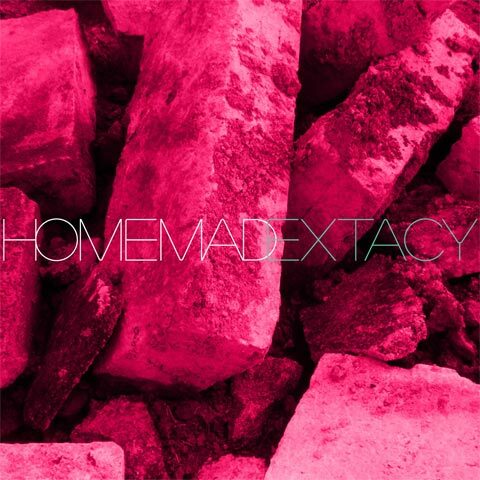 With the artwork for Florene’s Homemade Extacy, the Deanda brothers worked off of an existing vision Florene had. They treated a digital photograph of “lots and lot of concrete” to create what looks vaguely like homemade ecstasy, adding the right colors and clean typography to tie the cover stylistically back to Florene’s brand of electronic music. 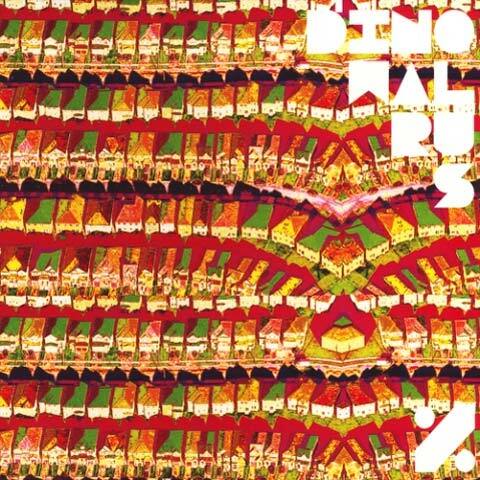 Based off of a found Wikipedia image of a suburban neighborhood as seen from above, the album cover for Dinowalrus’ % is a neon-colored delight in photo manipulation. Feigenbaum pulled images from his archives and utilized a combination of Photoshop and general digital street smarts to create the piece. As the image had a Creative Commons License, Dinowalrus was allowed to use the image without attaining any official clearances. For Feigenbaum to create his band’s album artwork resulted in a special experience, and Feigenbaum is not afraid to name-drop the visually-talented musicians he admires. He gives props to RISD bands like Javelin, Fang Island, Black Dice, and musicians with design firms and illustration collectives, like Nolen Strals from Double Dagger and Post Typography, and AIDS Wolf from Seripop, respectively. 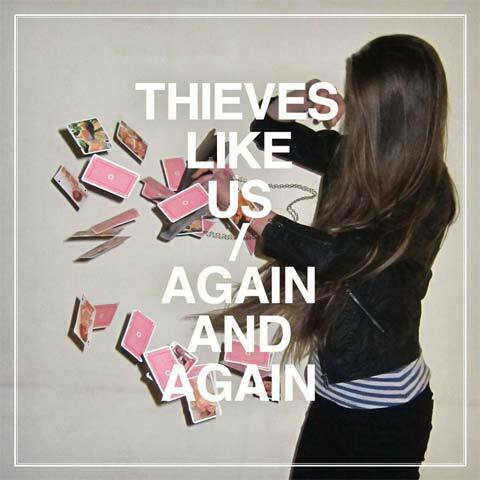 The cover artwork for Thieves Like Us’ Again And Again evokes a nostalgia about past mistakes. Designers Mattias Jakobsson and Peter Ström worked with the band, who chose the centerpiece photo for the album cover. From there, Jakobsson and Ström stepped in. According to Keegan DeWitt, his musical project as having “little to no funds for artwork.” Hence, doing what many musicians do — relying on oneself and one’s resourcefulness for album artwork. 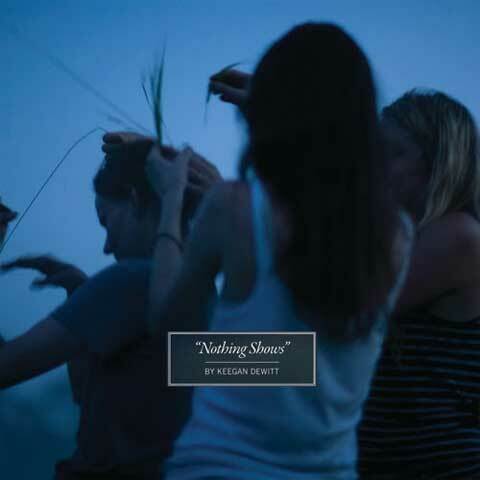 Alsop, a good friend of the photographer of Keegan DeWitt’s first full-length, Islands, had captured this cover photograph during an evening he and his friends had spent out in a misty field in rural New Jersey. Coincidentally, the photo was taken where DeWitt had shot the cover for Islands, although the two images were taken on separate occasions. Layout and typography by Ralph Lauren. 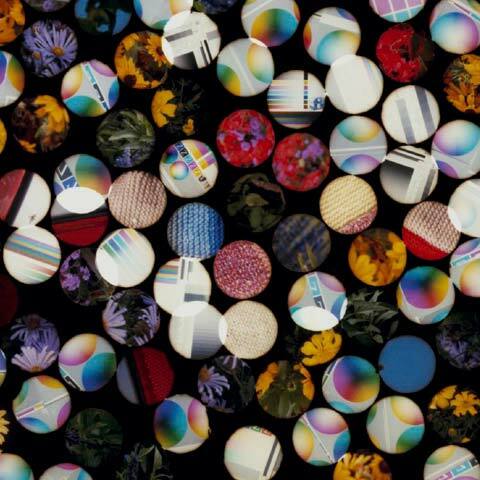 The circular shapes on the cover of There Is Love In You initially come off as 1″ buttons scattered on a black surface, but closer inspection reveals what looks like projections displayed through microscopic holes. Whether that is true or not, the overlapping of shapes and slight blending of surfaces makes for interesting connections — which are perhaps representative of human connections? 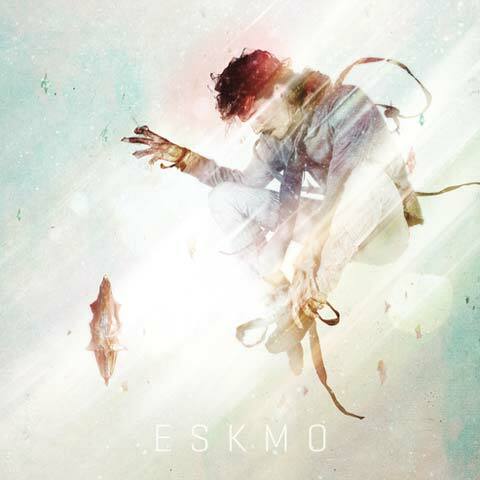 ESKMO’s self-titled album features artwork with ESKMO jumping through the air, diagonal lines of refraction and light whipping through and over his body, each piece of movement like the individual notes and layers of his music. Creation began with a basic visual theme concocted by ESKMO himself, which aimed to capture vibrant colors and energy emanating from his body. “I came up with the idea of having him levitate, and we pretty much went from there,” says designer and photographer Karol Lasia. Lasia had been speaking online with ESKMO for a few years prior to the collaboration, and the two had been desiring to work together for a long time. 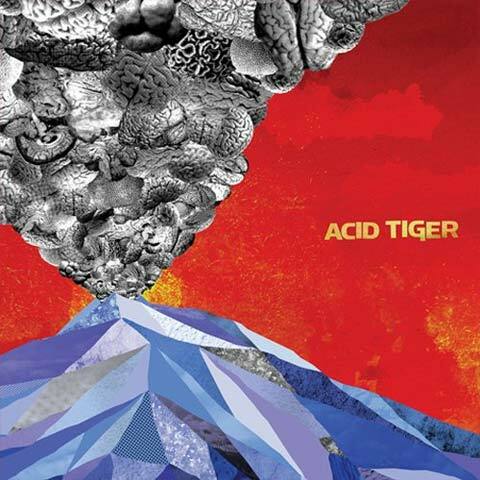 Prior to becoming a member of Acid Tiger, illustrator and designer Adam Wentworth was enlisted to create the album cover for the band’s self-titled debut release. For inspiration, the two looked at great record covers from the past, including Steppenwolf’s 7, ZZ Top’s Tres Hombres, as well as pieces by Superstudio and Kate Gibb. Concept and additional design by J. Rattlesnake, vocalist of Acid Tiger. UK indie rock band The Phantom Band loves to take album art into its own hands. For 2010’s The Wants, the band continues its pattern of creating artwork with an extremely eclectic and all-encompassing bent. While guitarist Duncan Marquiss spearheaded the design of Checkmate Savage, Wake was in charge of the artwork for The Wants, and decided to further the band’s visual identity with another collage that felt subtly off-kilter. “I decided that another collage would be a good idea… with a similar, not-quite-symmetrical composition to it, that would help further a general Phantom Band aesthetic,” says Wake. 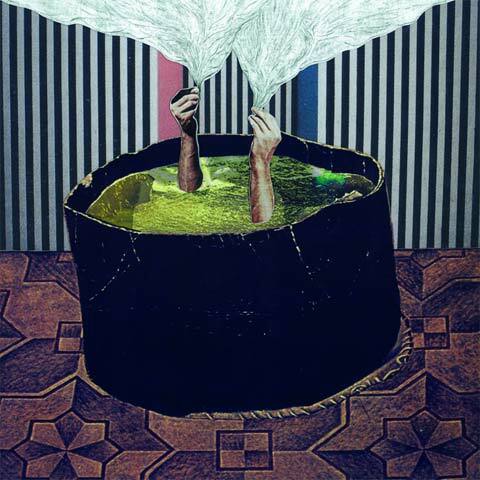 The image is a collage with a bit of pencil drawing; it is surreal, with hands poking upwards out of what looks to be a cauldron. 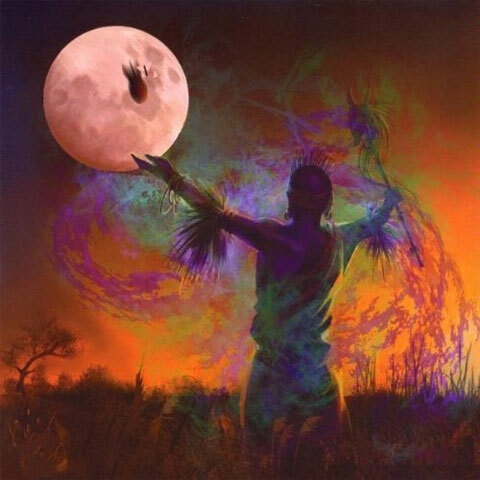 Artwork by The Phantom Band. “Even if an individual in the band takes the lead on the album artwork (so far we’ve taken turns), it is still a completely collaborative process — one where every band member is invited to contribute, discuss, veto,” says Wake. “I wanted the artwork throughout the album to be quite eclectic so that, even though I did most of it, it would look like it could have been produced by a whole team of different artists, because that’s something that I think is reflected in our music, in changing direction from one song to the next,” says Wake. “A few of the images within the booklet are done by other band members Duncan and Greg, plus two guest artists.” The back of the album is charcoal and pencil on coral-colored paper, while the inner sleeves contain a manipulated found photograph, two pencil and charcoal drawings, a watercolor by Duncan, and a hand-written tracklist. 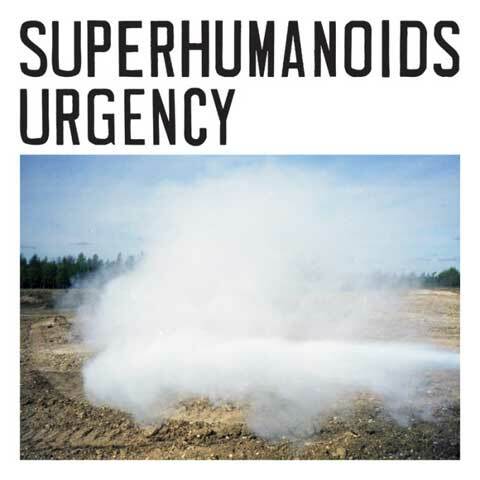 In a time where an album’s title has generally lost meaning as a central theme, Superhumanoids’ Urgency gets a gold star for following the rules. With a cloud of exhaust on unpaved ground, in their debut EP, Superhumanoids create an album that fiends and scoundrels might listen to as they escape from the law and the fear of old age. Front and center, the album artwork features a photograph from UK photographer Alex Howard. Howard was solicited by band member Cameron Parkins and art director Hassan Rahim. The rest of the project was largely a graphic design-based affair, with Rahim taking the reins. As he had previously worked with the band before, the rest was smooth sailing. This release is the perfect soundtrack for a drive down the coast or lonely nights speeding through the desert. It’s music that reminds us to live the life we all know won’t last. Like the cover and the music insinuates, you need to listen to this, urgently. The LP release was limited to 300 copies with red vinyl. Detroit-based garage rock band Tyvek has taken its raw and raging tendencies and channeled it into an album cover for Nothing Fits. The piece merges an uncomfortable, confounding Polaroid with a typeface the band has grown accustomed to and even slathered onto its drum kit. Photography by Christine Brache (also known as ZzzZz). 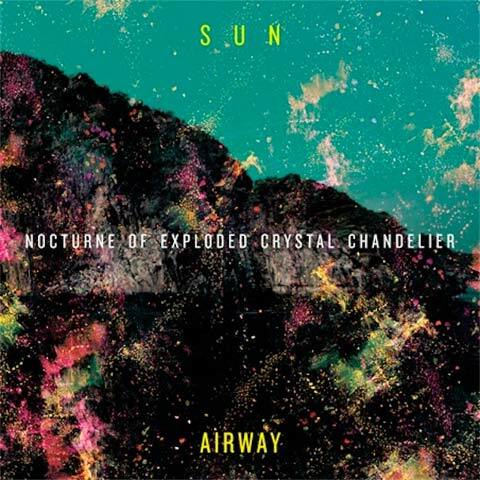 Sun Airway member, Jon Barthmus, captures the band’s spacey pop style in his design for Nocturne Of Exploded Crystal Chandelier. Given just how accurately Barthmus captured what he set out to do, one can only imagine that he probably created the artwork while listening to the disc on repeat. The cover was created almost entirely in Photoshop, the result of a digital, stylized collage. Typography was handled in Illustrator and imported into Photoshop. Northern California-based psych-rockers Clipd Beaks’ latest record, To Realize, seems to inspire introspection and meditation, by way of a textured wall of drone, noise, and distorted, layered miscellany. The band simply creates music which seems to go with the intangible ebbs and flows of life, and when one sees a live performance by Clipd Beaks, it becomes obvious that the band members are lost in their own instrumental wrangling. Sometimes, when one goes with the flow and plans only loosely, opportunity presents itself and coincidences make themselves significant with little to no effort. 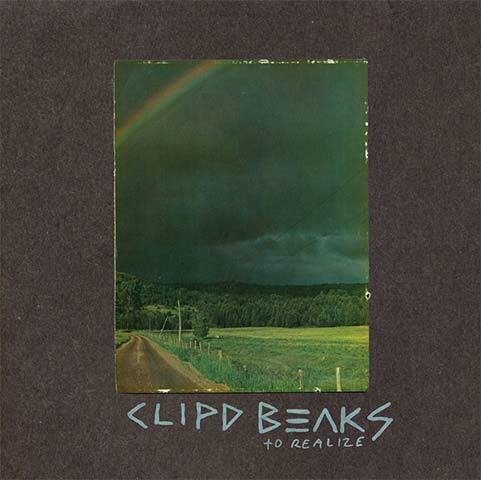 The image on Clipd Beaks’ hand-crafted cover for To Realize was designed by the band’s vocalist and frontman, Nick Barbeln, and its photograph was a thrift store find from around the time of the band’s formation a whopping eight years ago, in Minneapolis. And when Barbeln removed the picture from it frame, he was in for yet another pleasant cosmic surprise. It turns out that Dave Hartley, the man behind Nightlands, really is a huge fan of sci-fi. 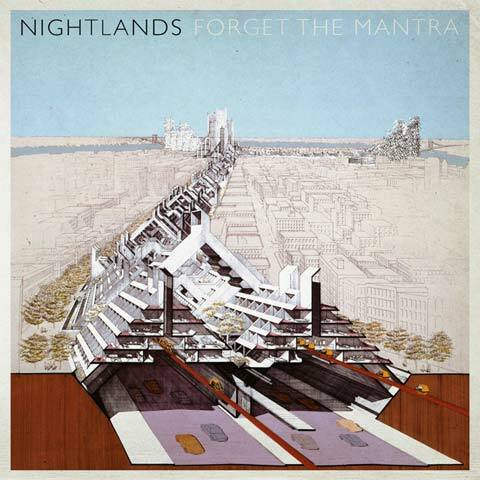 “I wanted the Forget The Mantra art to have the vibe of a ’60s or ’70s sci-fi paperback cover, and the Paul Rudolph illustration fit the bill perfectly,” he explains. Original image created by the late Paul Rudolph, an American architect known for his complex floor plans. Design by Daniel Murphy, Secretly Canadian’s in-house designer. Unlike many album cover artists who run free with their own interpretations of a band’s muic, Nils Larsen, a friend of The Bandar-Log, basically followed the band members’ artistic directions to create the artwork for AK-747. Nearly the entire album artwork was done on the computer, for editing ease. The final product is equally whimsical as it is epic. Art direction by The Bandar-Log. Holistic and nostalgic, Learning is an album that captures dirty and scarred portraits of humanity. Promotional materials for Learning included promo photos in where Mike Hadreas, aka Perfume Genius, had a swollen face and black eye, but even when one keeps that photo in mind, the creative process behind the artwork for Learning is quite gnarly. “I knew I wanted it to be fairly disgusting, but only if you looked closely,” Hadreas continues. The deteriorating image, creating using everyday objects, utilizes melting faces and bleeding words to show how time passes; no one can escape the grasp of the ugly. It might not be the most appealing thing to be reminded of, but when art can remind people of their mortality, it helps put the rest of life in perspective. 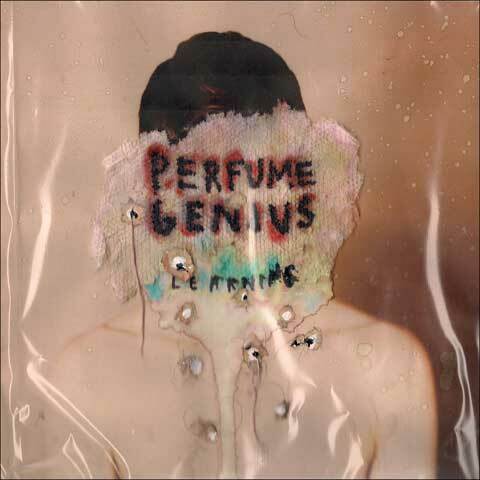 Composition created by Mike Hadreas, of Perfume Genius. “The back cover was larger sheets of the paper towel skin that I put in the microwave for a couple minutes and then wrote the song titles in sharpie, which bled and in my eyes produced a tattoo effect,” says Hadreas. Showcasing transparent digital layers which warp through a three-dimensional space, Causers Of This has album artwork that resonates with the chillwave music of Toro Y Moi. How lovely that the man behind the project, Chazwick Bundick, is also the album’s designer. Design and layout by Chazick Bundick, aka Toro Y Moi.